A view of the house from Biscayne Bay. Photo courtesy of Vizcaya Museum and Gardens. What's the fastest way to get to Italy from Miami? Take a day trip to Vizcaya Museum and Gardens in Coconut Grove. MIAMI – Let's turn back the clock, friends, to a time when millionaires knew how to spend their newly-minted fortunes. All the way to 1914 along the sunny shores of southern Florida. It is here that we will find a gentleman of means, a certain James Deering, awash in cash from the success of his family's farm-equipment manufacturing company and looking for a good way to spend it. He decides to build a summer home. Though not just any home. Rather, he builds an elaborate showstopper inspired by 18th-century Italian villas, with gardens to match. He chooses as a site a subtropical, mangrove-filled forest in Coconut Grove on the shores of Biscayne Bay in the outskirts of Miami. 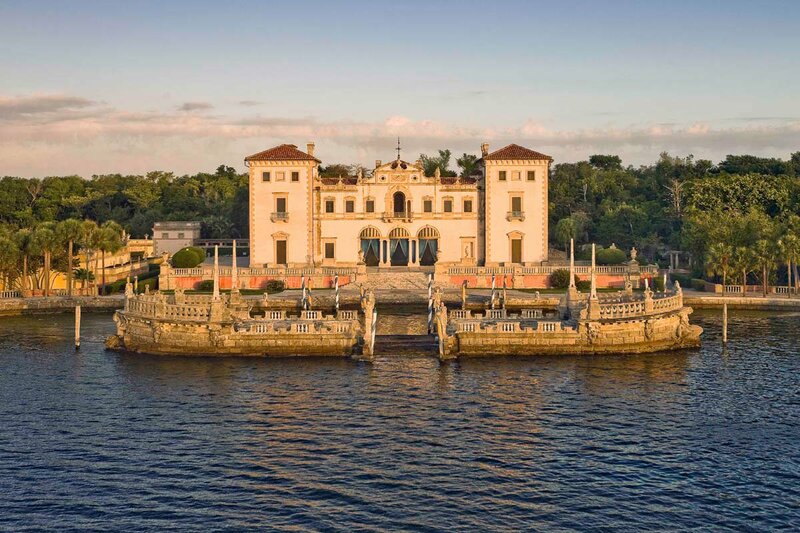 And he names it Vizcaya, in honor of Sebastián Vizcaíno, the Spanish merchant explorer who gave the bay its name. Today, Vizcaya Museum and Gardens remains pretty much how Deering left it, a beautiful and serene oasis. It may only be a short ride from South Beach, yet it feels a million miles away. It's fitting that we're so close to South Beach, the playground where millionaires and billionaires (let's adjust for inflation, shall we?) still go to play with their hard-earned (and easily-spent) sums. Because when you leave the go-go SoBe scene behind and spend a glorious day at Vizcaya, you can't help but notice how much of the nouveau riche remain the same throughout time: happy in their wealth, if a little insecure about how to spend it. Deering enlisted painter Paul Chalfin as Vizcaya's artistic director, and the man took to the task with admirable gusto. Instead of just taking inspiration from French and Italian villas and recreating them or sourcing them piecemeal, Deering and Chalfin went on a serious shopping spree — ceilings, fireplaces, furniture, artwork — toting their loot back home. It must have been quite the shipping container invoice. Because before they built, they bought. Chalfin rented a warehouse in New York and staged rooms for Deering's approval. (The mind reels!) It was only after Deering had signed off on the rooms that the architect designed the home they would fit in. (The mind reels again!) The resulting water-facing estate has 34 rooms off a central, two-storey atrium courtyard. The ground floor has a reception area, a library, and music and dining rooms. The second floor is home to Deering's bedroom suite, guest rooms, and, unexpectedly, the kitchen and breakfast area. Many rooms are inspired by Italian cities — Naples, Venice, Florence. 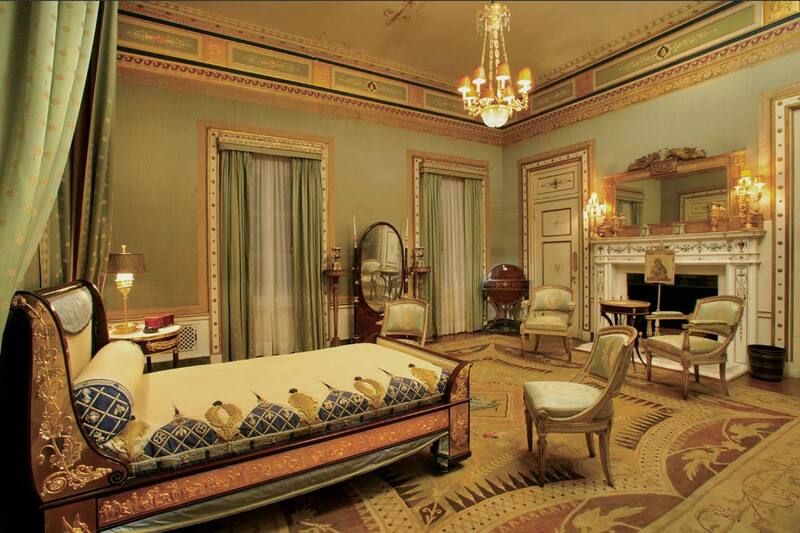 All have furnishings that are only rivaled by the artwork, much of it commissioned for Vizcaya. Every surface is considered, ornate, gorgeous. And although Deering filled his Rococo and Neoclassical palace with what today is one of the best collections of historic Italian furniture in the United States, the infrastructure was as modern as could be. Generators, water filtration and heating systems, elevators, central vacuum cleaning system, automated laundry room: totally cutting edge at the time. The house is so filled with windows and glass doors that the gardens may as well be part of the decor. As they should be, because they're just as wonderful, landscaping designed as a series of rooms with statues, fountains, loggias, mazes, grottoes, and so many beautiful plants. And now we get to enjoy it. Deering, a lifelong bachelor, left Vizcaya to his nieces, who in the 1950s gave it to Dade County to open to the public. On the Sunday I visited, I counted no fewer than six quinceañeras and a few brides with photographers and styling entourages in tow, all taking advantage of the glorious backdrop. As for me, I was just a tourist who wanted a break from South Beach. It's easy to come to this part of Florida and miss Vizcaya, to stay on the beach, to maybe venture only to the Design District. It took me more than a dozen trips to Miami to get here. But from now on I'm telling everyone who asks to ditch the beach and spend an afternoon here. Vizcaya is easily one of the best things Miami has to offer. I hailed a taxi from South Beach, a pricey half-hour journey. Uber would have been better. If you're on the downtown side of Biscayne Bay, take the Metrorail to the Vizcaya stop and walk five minutes to the entrance. Vizcaya's website is absolutely fantastic, filled with historical info, artifacts, and information. If you can't make it to the actual Vizcaya, spend some time here, especially on the 3D tour.